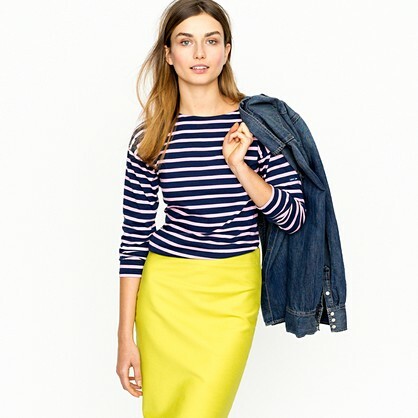 springtime at jcrew | kensfolk. 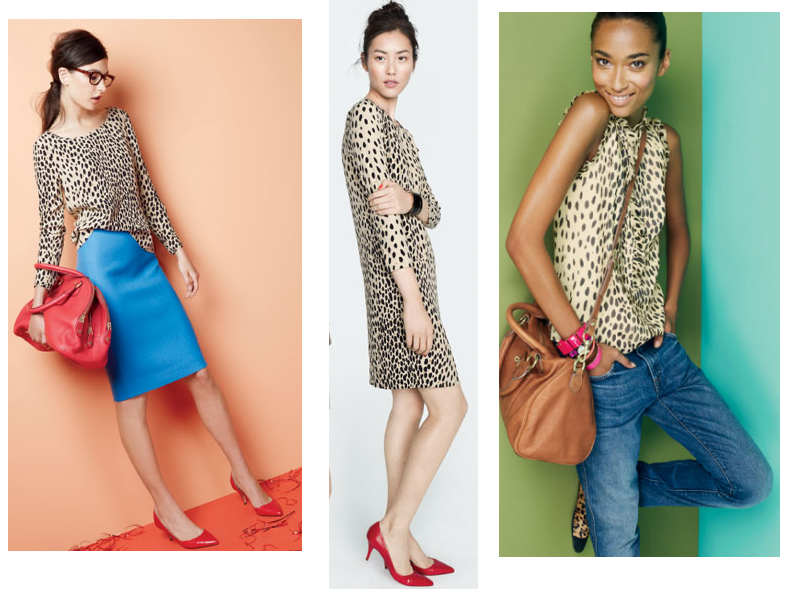 I’ve been pretty smitten over Jcrew’s spring collection. So many bright colors, pretty graphic patterns, and classic cuts. They’re infamous #2 pencil skirts recently went on sale, so I went to load up for work. I got some fun quirky colors that I can mix and match with (I get so bored with the plain old black and white.) I was pleasantly surprised to find an old Jcrew gift card in my wallet that paid for almost all my purchases! 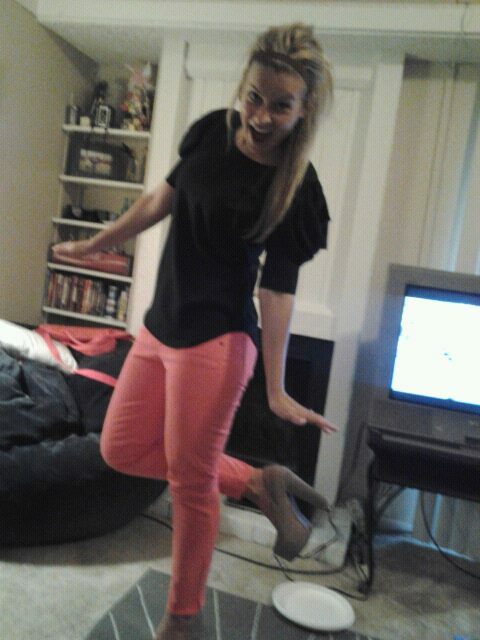 I’m excited to get in the office and rock my new pencil skirts and coral pants. 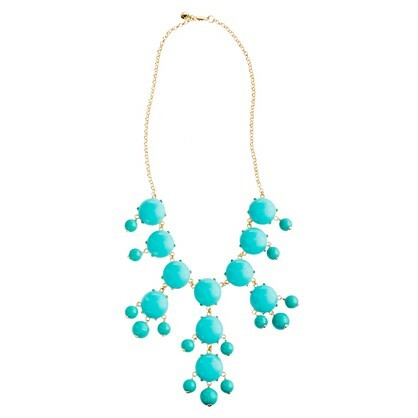 As for the beautiful turqoise “bubble” necklace above (which almost every girl in Jcrew was wearing in various colors) is $150, so I went home and did a little Ebay investigation and found one for $15! They have them in a bunch of different colors, check them out here. Time to pull out your brights, ladies!